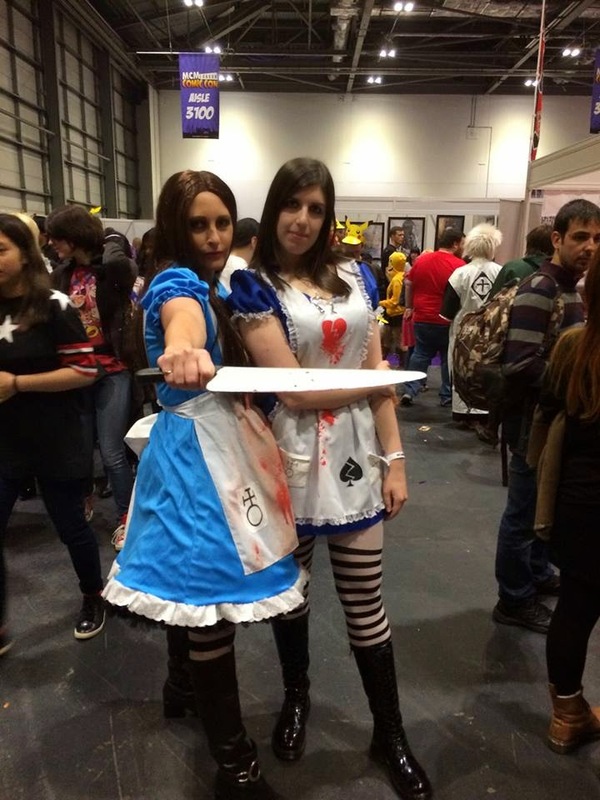 This October's MCM Comic Con in London was the second time I have ever cosplayed (I went as Mario a few years ago), and somehow it just made the whole experience more fun! 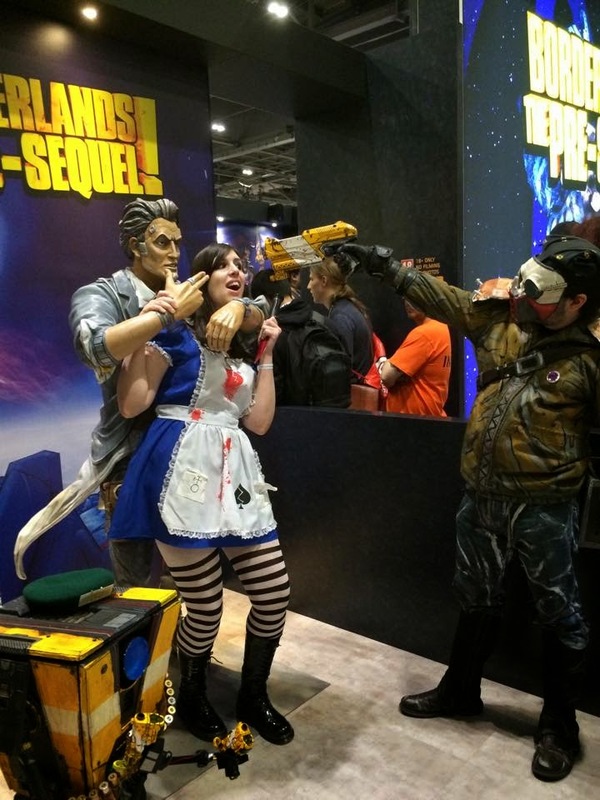 During my time at MCM, I sat in on two talks-Tomb Raider and the Temple of Osiris, and the Resident Evil HD talk with Wesker himself, DC Douglas. I also got the chance to hang out with my regular con friends and Comic Village exhibitors, browse the stalls and check out other cosplayers. 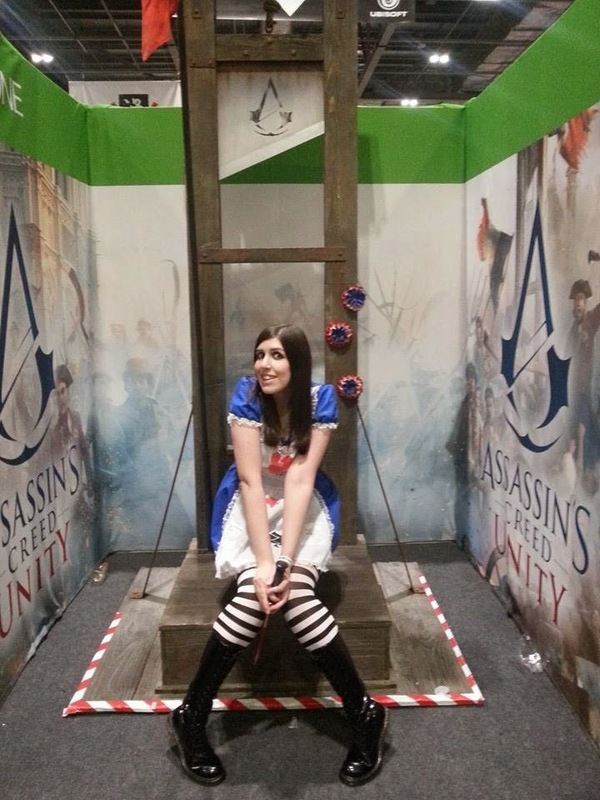 The queues were mental for the game demos! 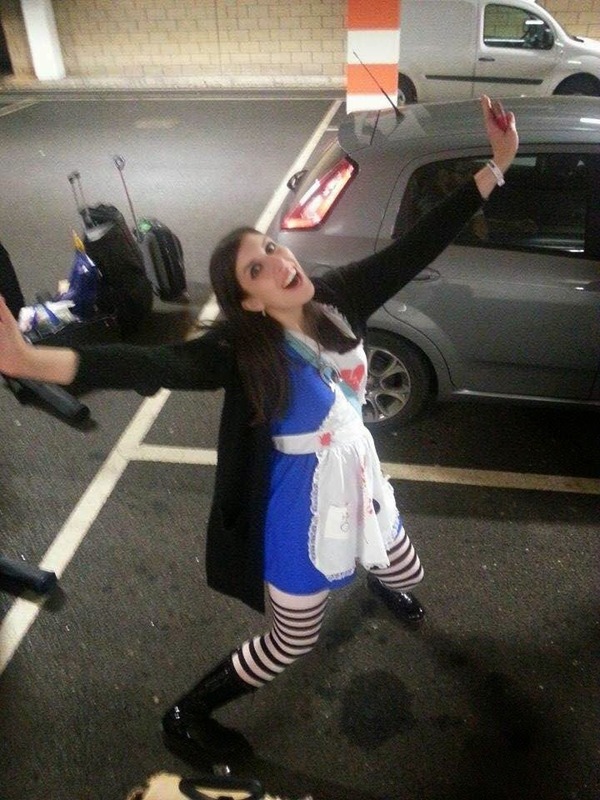 Here's some of the photos taken of me as Alice. 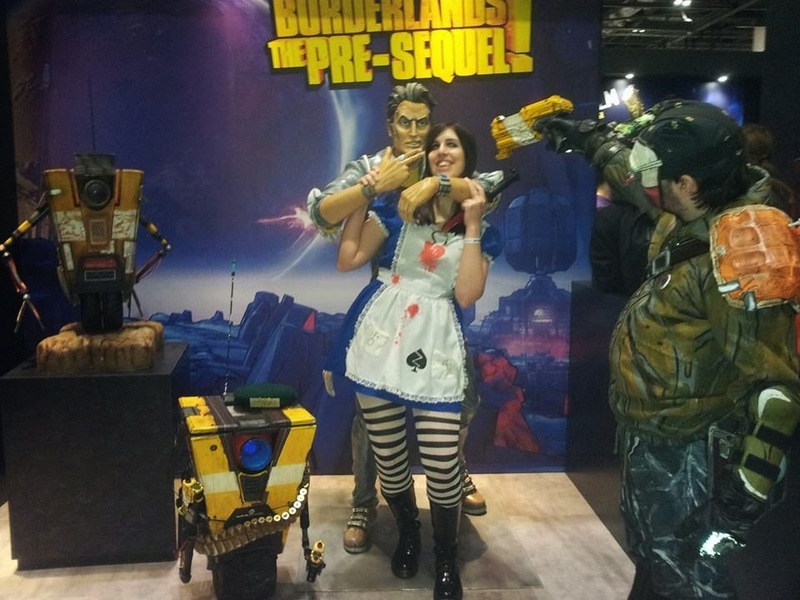 It was also nice meeting fellow matching cosplayers! Clearly, I'm enjoying being held captive. 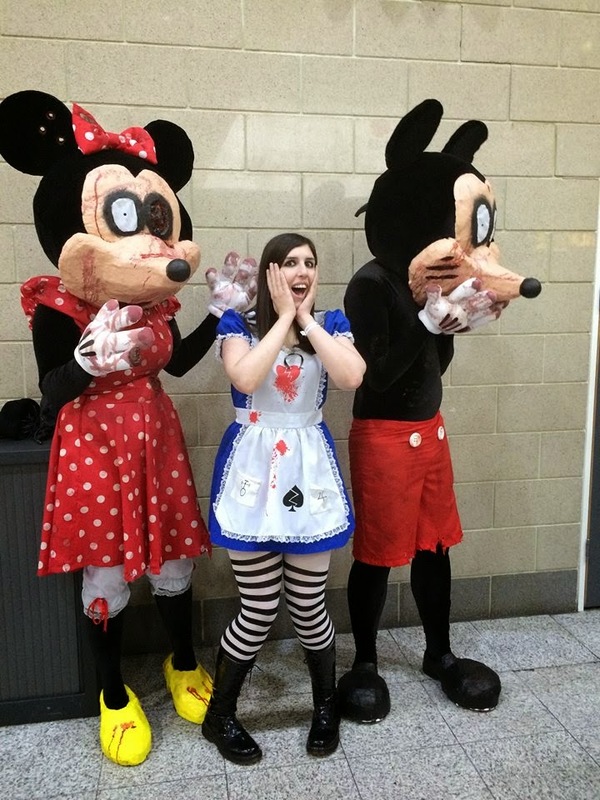 Alice has a run-in with a zombie Mickey and Minnie! 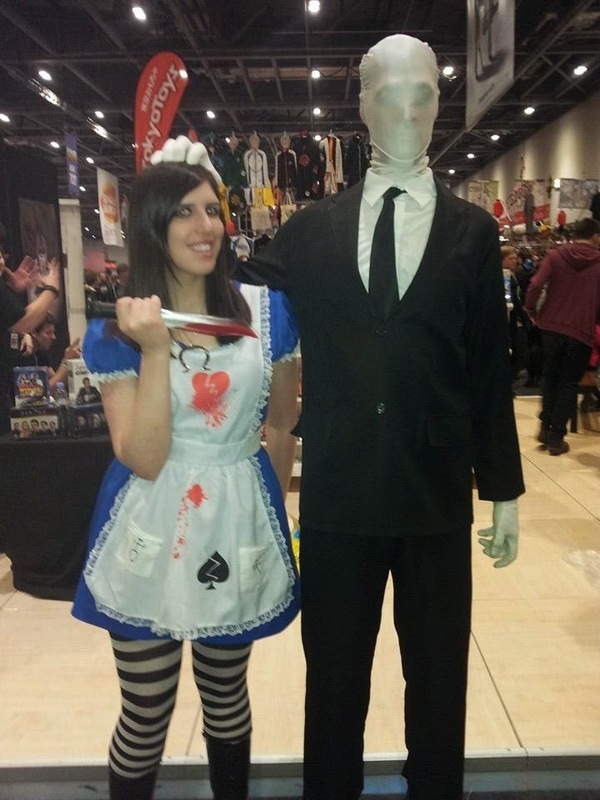 Day 2 of MCM Complete!